Complimentary valet parking is offered to every Powder guest. 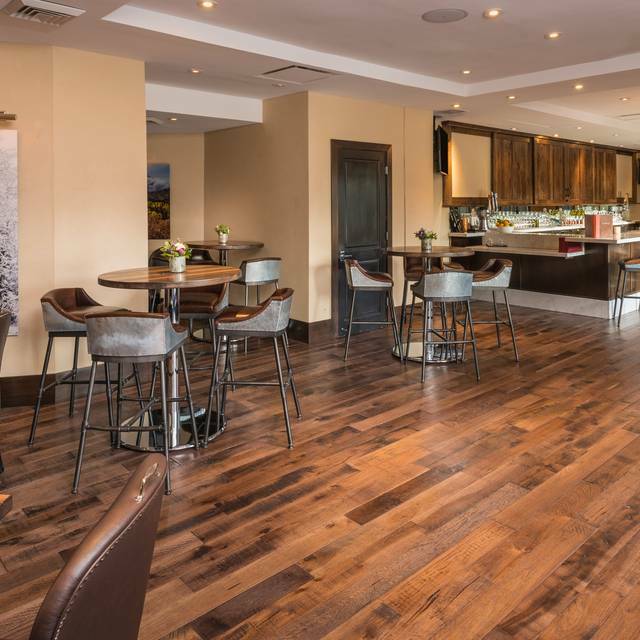 Elevated mountain cuisine with contemporary European influence. Enjoyed our dinner. Caesar salad was great, SeaBass was good, although it was over salted. Powder is a comfortable spot. Well.....Chris the waiter was the best part of the evening.... he was really enjoyable, very personable and professional. 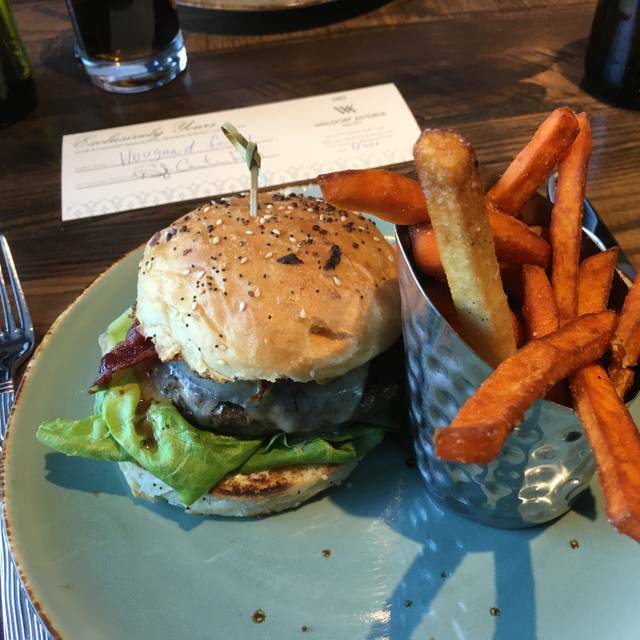 Outstanding food and service every time we go! Wonderful restaurant. First time here and will return in the future. The food was beautifully presented and tasted great. Desserts were innovative and presented nicely. Service was excellent. Mixed drinks were tasty and potent! The food here is great. Service is friendly. I had pleasant experiences every time when I came here. Highly recommended. Very fun and unique experience for us. We felt welcomed and enjoyed our time there. Thank you. Excellent all the way around. Very special spot, fortunate to have in our neighborhood. Food was great! Taste and presentation above average. They had live music which added to the nice ambiance. Will be back ! The food was outstanding and creative! Potions were very good so you can order several things. Wine list is also good with a few Austrian choices that are reasonable and delicious! Great service & wonderful food! Great Experience for our family of 4 on Spring Break! Such a special dinner, great music, we sooo enjoyed it all! Wonderful waiter! Such nice employees as we entered and exited the Waldorf Astoria for dinner. Best dining experience on our Park City visit. Super friendly and welcoming service. Creative menu with artistic presentation. Light guitar live music and artsy interior design adds to pleasant ambiance. Chef treats in between courses. Look forward to returning simply to try more dishes! Everything we ordered was delicious! Even the vegetarian entree! Will return. Wonderful experience again! Most delicious food and wine. Outstanding service. Our favorite restaurant in Park City. Can’t wait to be back! Are here on a Wednesday night after a day of skiing. Stephen was the waiter and did a great job. Service was excellent and great help with wine. Food was superb and overall a great experience. Will come back. Birthday treat for me so special was the service from Martin, the General Manager. He greeted us in an outstandingly friendly manner which continued for the whole time we were there. Each member of your service team treated us in a professional way and made me feel very special. The food is great, the wine is sensibly priced and the ambience very special. I will be back for sure......maybe for my 80th! This has by far become our favorite restaurant in Park City. Elegant, yet relaxed mountain dining. 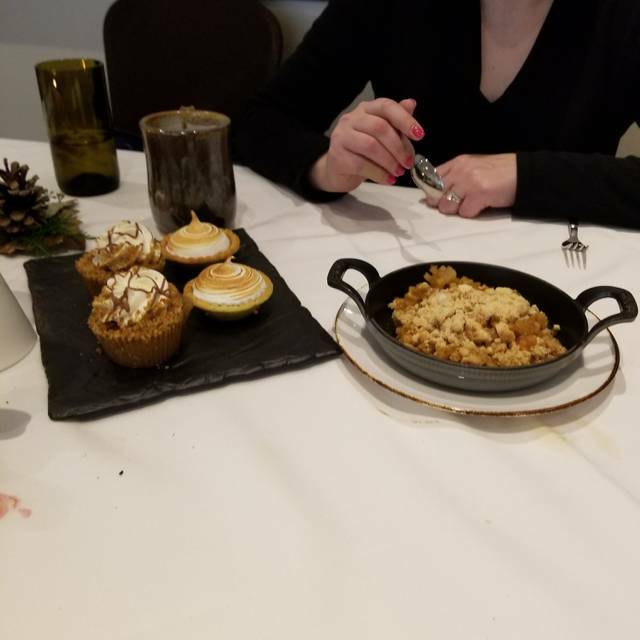 We first dined there in December of 2018 and enjoyed the Tasting Menu. Our server, Gino, made sure everything was perfect. We were also warmly greeted by the manager, Martin, who made sure our evening was wonderful. The food was absolutely amazing, prepared by the Executive Chef Hermann Schaefer. 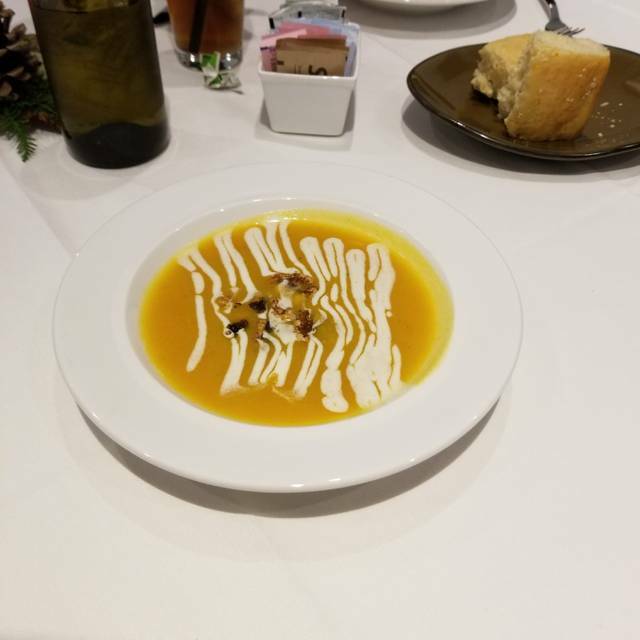 We were so impressed we decided to return to celebrate an anniversary in February of 2019 and were once again completely taken by the wonderful atmosphere, service and food. This visit we were fortunate enough to have Steven, Powder's wine sommelier, as our server. At his request we gave him a price range for the wine, decided on an entree, and he made the most incredible wine selection for us. It was our pleasure to meet him and we appreciate both his selection of wine and entree suggestions. 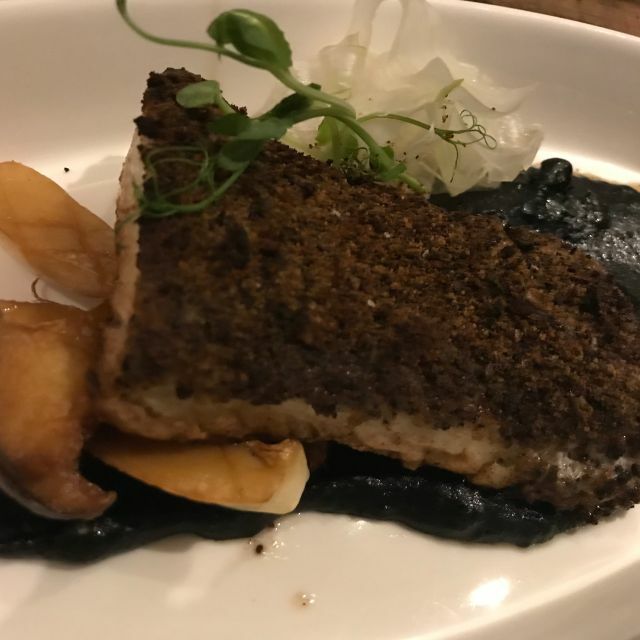 We both decided to have the Mushroom Crusted Chilean Seabass. Having traveled extensively, I have enjoyed Seabass on several occasions but I can say nothing has ever compared to this dish. We both took the first bite, and just could not believe how incredible this dish was. From the taste to the texture of the fish, it was beyond amazing. We once again had the pleasure of a visit from Martin, the manager of Powder. His hands on approach at this restaurant is quite impressive and we feel certain his management skills, along with his wonderful staff, will make for an extremely successful restaurant. We were also greeted by Gino, our server from December, who seemed to remember us from our December visit and made us feel warm and welcome yet again. 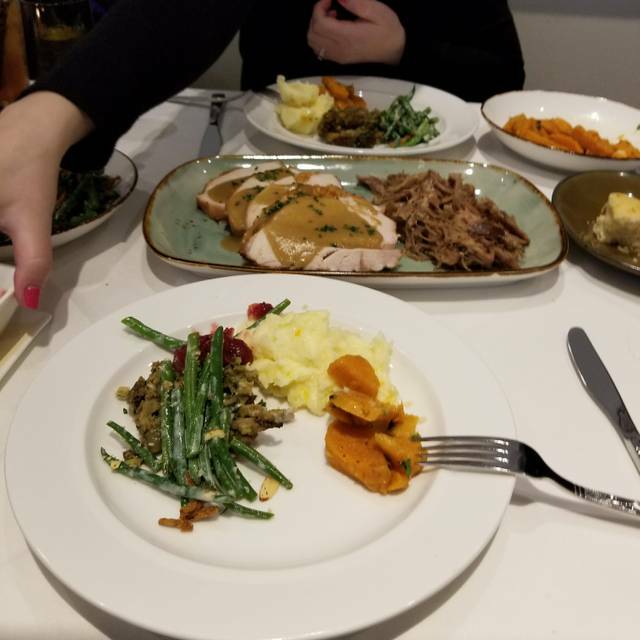 If you have the pleasure of visiting Park City in the future, you absolutely must take time to dine at Powder in the Waldorf Astoria. We look forward to returning in the near future, and enjoying another wonderful evening of amazing dishes and wine at Powder. We hope you enjoy it as much as we do. Excellent food but service did not live up to the price tag. This was a miss for us. First, Max the host was awesome. So engaging, professional and gracious. Giro the server was also super sweet and engaging. We started with martinis and they were shaken for a LONG time which made them very watered down. We sent them back. The replacements were better but on the small side. The oysters seemed like they had been shucked way in advance, dry. There was no yummy oyster “liquor” like in a freshly shucked oyster. The sea bass was well cooked and very good. The duck breast was sinewy, tough and cold. The confit was over cooked. My daughters kids hamburger was good but a bit dry. Max asked about our experience and we were honest and he was appreciative of the feedback and said they are ALWAYS looking to improve. He invited us back for a do over. The atmosphere was lovely and they had nice live music. Food and service was excellent. Giro, our waiter, was outstanding. Prices were ridiculously high; the same wine that was $62 a bottle at another fine dining restaurant in town was $84 here. Another wonderful meal! The service was fantastic, Thank you Gero. Only the food surpassed it. The chef creates sheer perfection from appetizers, the roasted chicken or tonights NY strip special, and the creme brulee. Delicious. I asked about wine...He brought two samples in two glasses to try. Once we made our selection, rather than bring clean glasses, he proceeded to pour the chosen wine into the sample glass we both had used. We had to ask to clear the table as we had been done for a while, but then he only cleared a few, And we had to ask him to remove the remaining plates. When we asked about dessert, he mumbled that they had a large selection, but rattled off only two choices, stated that he could not remember all of them, and then walked away. I asked for tea, but had to wait to ask for a spoon. We felt like we were putting him out! Amazing staff and the most memorable experience! Would absolutely come back! I was most impressed by the service we received from Martin the manager at the restaurant . I would not hesitate to return while he is working there. Powder is delicious! Fine dining in a beautiful location. Service impeccable. Amazing wine list. Highly recommend! Highly recommend. Staying at the Waldorf, dined here the past 2 nights. Both meals were fab. And lucky us, we had Christopher taking care of us. Everything was superb. Waldorf Caesar salad shared to start. Amaz, 2 nights 4 dishes. All great. Bolognese, sea bass, short rib special and scallop/rabbit. All perfect. Such careful and purposeful preparation. Would actually expect the prices to be higher for the quality of the food. Wine menu has plenty of options in all price ranges. Ambience super cool. We are big food snobs and we loved it! The waitress had no idea what was gluten free on the menu. That’s a pretty common request these days and I would hope the Waldorf has experienced wait staff. I ended up with tuna and some lettuce. Flavorless and not at all filling. I went home and had a protein bar. The Alpine old fashioned tasted funny. Our waitress forgot we were there and when she finally saw us waiting for the check you could tell. She also asked if we wanted another bottle of champagne when half was left in the one at the table. Very pricey disappointment. Not at all what I expected. Main courses were delectable, beautiful plating, appetizers were good but nothing to write home about, and wine selection was amazing but other than that my dinner experience left a bit to be desired. We waited almost 10 mins for a hostess to come up to the stand and seat us when we go there, wait and bar staff walked by but we were not acknowledged. After we finally sat down, it took forever to have a member of the wait staff come to our table, and when he did he offered us a water selection but then never took our other drink orders. We had to ask for them ourselves when he asked for our food order. I want to stress that he was super nice and hardworking, just could use more fine dining training. The restaurant itself is a little small; tables close together, casual bar area with hotel guests drinking right next to dinner tables...so its not overly intimate or quiet (not very romantic if that's is what you want). I would return because the food was good, but would probably stick with a main course and wine. 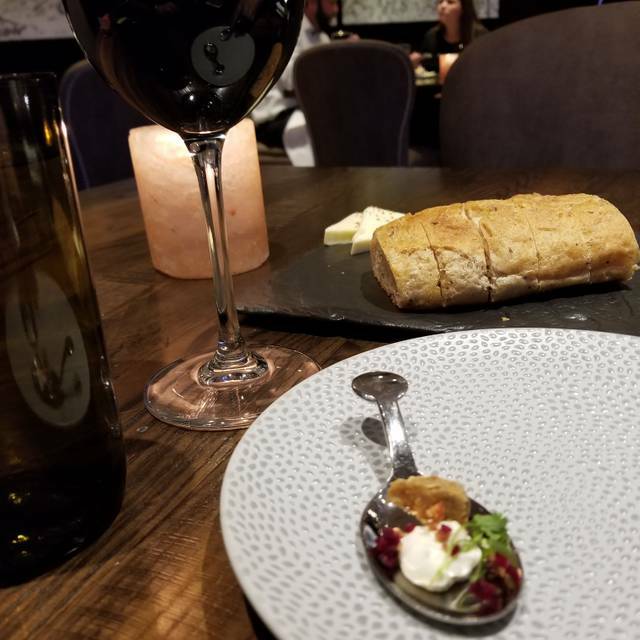 The vibe and service just did not match the menu ( high end, well thought out dishes and they offer a tasting selection with wine pairings) and prices, which is unfortunate. Soup was a very weak link. Very sweet and not complex at all. Not as good as canned soup and certainly nothing you would expect of a restaurant of this level. Then the entrees were served...cold. 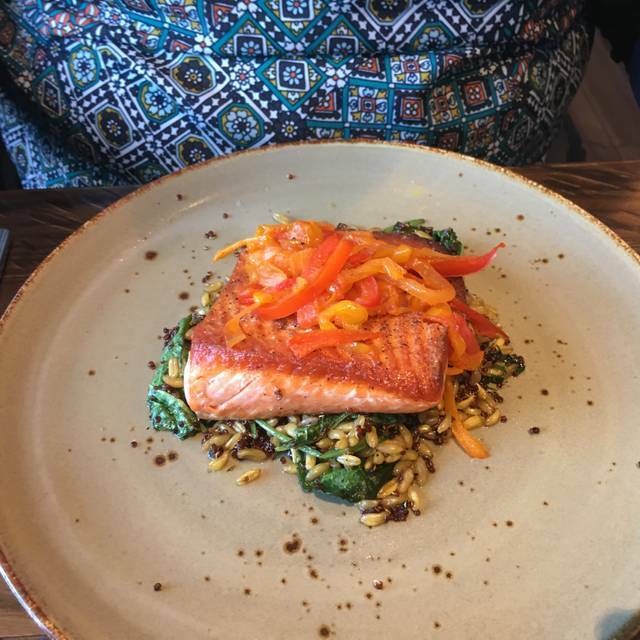 Both the salmon and the duck were cold and so we told the server. The manager came over and said that they would prepare the dishes from scratch (not just reheat, which was appreciated). When they were served they were warmer and better. Although the salmon was good, the duck was tough and neither entree was exceptional. Without asking, the manager comped the entrees, which was the class way to handle the situation. The desserts were quite good but they were out of two different desserts. Overall, the service was good and the presentations excellent. Desserts were the highlight of the meal (creme brulee 3 ways and tiramisu). The entrees were weak; the menu itself was not what we would have expected for this restaurant. Simply amazing! The food, the service, and the snowstorm made for a perfect afternoon. This is fine for Park City but I would expect more from the Waldorf. Menu from new executive chef is perfectly average - nothing horribly inventive. The bartenders failed at execution an old fashioned - the most basic of drinks - with a failure to adequately chill it (even though they use mixing glasses), a sad orange twist with too much pith, and no nose to the cocktail because they either didn’t twist it or didn’t rub the rim. Cocktail menu in general lacks range. Even the kids menu pasta with tomato sauce was bland - somehow that is also worse than last year. This is fine for convenience if you are staying here but I would not come here as a destination.